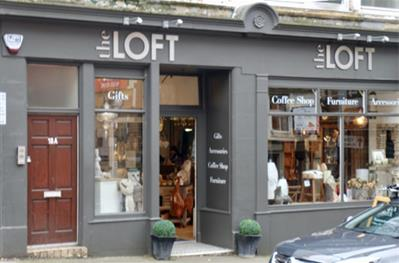 Crieff is a traditional market town in the beautiful area of Strathearn and has a long history. Rob Roy MacGregor, a legacy highlander visited Crieff offen to sell cattle as well as Charles Edward Stuart - also known as the Bonny Prince Charlie held his final war council in the old Drummond Arms in Crieff. 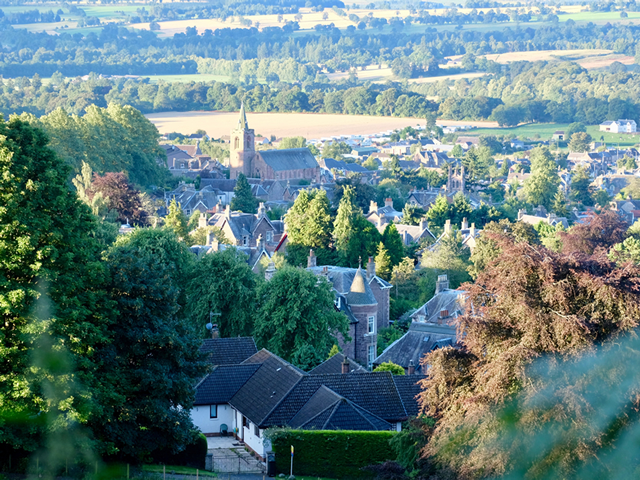 A very nice walk from Crieff town centre, you can walk to the Hosh and reach Glenturret Distillery. 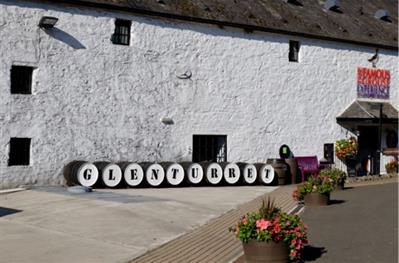 It is the oldest working distillery in Scotland. The Wild Thyme Restaurant offers delicious lunch and dinner menu. The General Manager Stuart Cassels arranges many interesting events. For the best Scottish Welcome watch this video. 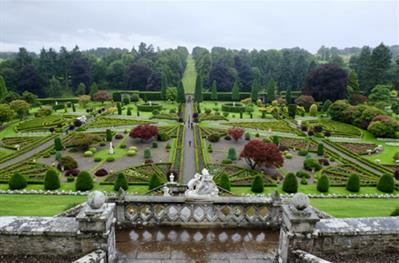 An impressive formal garden dated back to the 17th century. There are special events through out the year. It is named after James Macrosty, who was provost in Crieff. There are a fine collection of mature trees and the River Burn flows through. 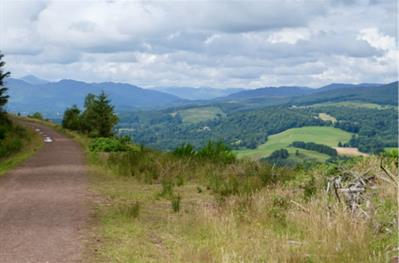 From the highest terrace, you have a picturesque view across Western Strathearn and Ben Conzie. It it a perfect place for a picnic in the sun. For children there is a large playing area with water fountain for the kids. The beautiful Lady Mary Walk begins here. 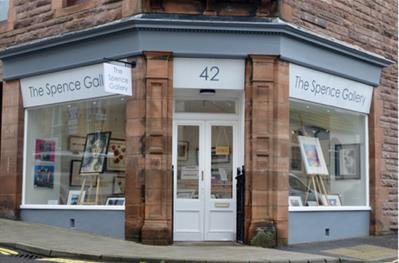 The Spence Gallery lies in the middle of Crieff and offers a wide range of Scottish artwork for fair prices. They also offer a professional framing service. We can't walk along without a stop to gaze in the windows. Crieff lies at the foot of the Knock. There are many nice walk options around the Knock and to the summit. You can pick wild raspberries, blueberries and bramble in Summer and Autumn. The views from the summit and other viewpoints are stunning. 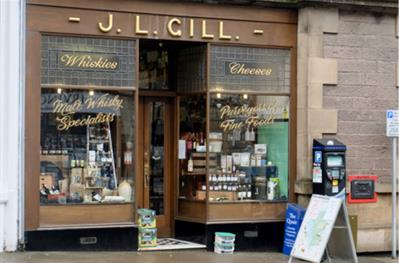 An amazing wide range of malt whisky and groceries, J L Gills is an old family business, founded 120 years ago. 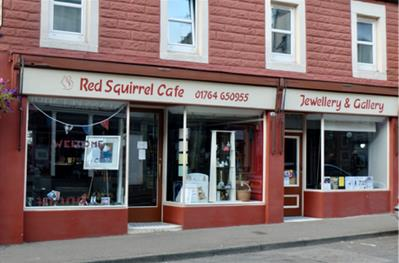 It is the last remaining traditional grocery shop in Crieff. If you are looking for something different, for example you are looking for an organic malt whisky or an organic gin, which is not in stock, just ask and they can get it in for you. The first Highland Gathering in Crieff was in 1870 and has occurred every year with the exception of the first and second world war. 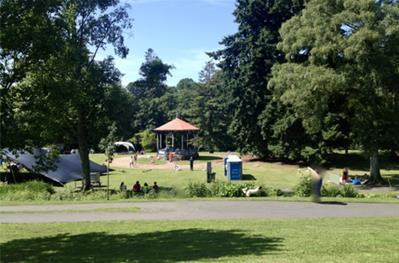 The gathering takes place at the Market Park in Crieff. 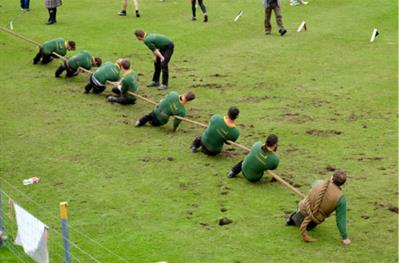 The day includes Highland Dancing, Heavyweight, Caber toss, Piping, Tug of war, Cycling and much more. 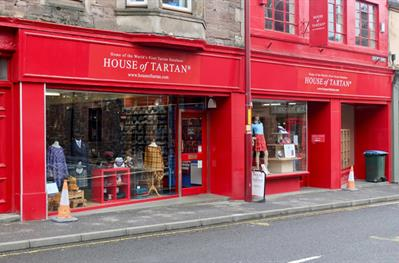 Totally committed to getting you the tartan product you’re looking for. A lovely place to relax after shopping. They offer coffee, tea, sandwiches, toasties, salads and home baking. Vegetarian options are available. You can find nice jewellery and paintings as well as gifts and arts. Beautiful furniture and delicious cakes, coffee and teas. The view from the window in the back of the shop is fantastic.